Apple will face competition in Europe for the "iWatch" trademark it has already filed for in Japan, Taiwan and Mexico, because other companies have already registered the name in relevant trademark categories. Among them is Probendi, an Italian company that is also incorporated in the U.S. In February 2009, Probendi registered the European trademark for iWatch with OHIM, the European Union agency responsible for registering trade marks and designs that are valid in all 28 countries of the E.U. Probendi owns the word mark for "iWatch" and uses it for a mobile phone application that sends real-time audio, video, and location data to an online emergency and security support system that can be used by emergency services, according to a brochure about the product. Daniele Di Salvo, Probendi's director, could not immediately comment on Friday on Apple's trademark filings. That Probendi owns the word mark in the E.U. doesn't mean that Apple cannot apply for a European "iWatch" trademark, said Margarita Garcia of OHIM's information center. "We are an administrative institution, we do not refuse applications," she said. "We cannot be a party in these battles." According to an online description of OHIM's procedures, it is up to registrants to defend their trademarks, and for new applicants to demonstrate that already-registered trademarks are not being used. The owner of a trademark has the obligation to ensure it is used and has to check if others in the same market are using the trademark, Garcia said. When an application is filed for the same class of product, OHIM will send a letter to the trademark owner notifying that a similar trademark has been filed, after which the owner can file an opposition which will be reviewed by OHIM, she added. In Probendi's case, the trademark is in class 9, which covers apparatus, instruments and media for recording, reproducing, carrying, storing, processing, manipulating, transmitting, broadcasting, retrieving and reproducing music, sounds, images, text, signals, software, information, data and code. It also covers software, instruments and apparatus for the location and navigation of vehicles and personnel; computer application software for mobile phones. Whether an opposition succeeds depends on the arguments filed, Garcia said. "It is never easy, it is never black and white," adding that anyone can oppose a trademark application within three months after it is published. 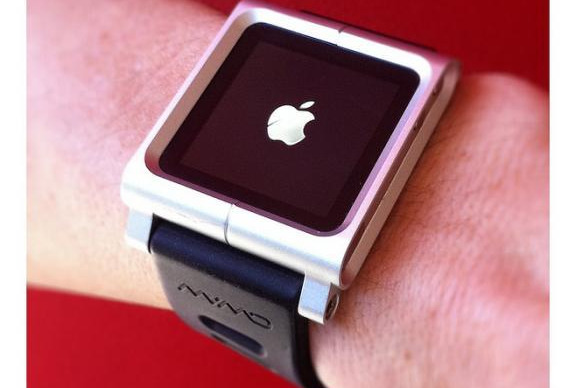 Probendi is not the only company in Europe staking a claim on the iWatch name, though. AIO Distribution, a company from the U.K., also filed for a European registration of the trademark in Dec. 2012. In this case, AIO tried to register "iwatch", with a lower case w, in class 9 and also class 38, which covers mobile phones and communications by mobile phones. AIO's trademark claim hasn't been registered yet, and its application was opposed by the Vlaamse Media Maatschappij (Flemish Media Company, VMM), according to OHIM's records. VMM has an online portal, iwatch.be, where content from the Flemish television channel VTM can be watched for a fee. The company has registered the "iWatch" trademark in Belgium, the Netherlands and Luxembourg, according to the records of the Benelux Office for Intellectual Property (BOIP), which covers the three countries. A VMM spokeswoman reached on Friday declined to comment on Apple's trademark filings in other countries and wouldn't discuss the opposition of AIO's filing at the OHIM. The company doesn't discuss its strategies, she said. AIO Distribution could not be reached for comment. There is another iWatch trademark holder on record at the BOIP too. A private person from the Netherlands, Otto F. Weise, registered "iWatch", "iWatch Phone" and "iWatch Connect" in different categories according to BOIP records. The trademark iWatch is registered in a category covering jewelry while iWatch Phone and iWatch Connect are registered in a category that among others covers cash registers, calculating machines and data processing equipment. The situation is much the same in the U.K., where Probendi owns the trademark (because it has an E.U. trademark), records at the Intellectual Property Office (IPO) show. In the U.K., an application for "i_watch" from Turkey in the jewelry category is also pending. In Germany, a visual iwatch trademark is registered by Matrix Security, records of the German Patent and Trademark Office (GPTO) showed. And in June, a Vanessa Hansen, applied for the German word mark "iWatch".